Экспериментальный триплан С VIII Dr. с двигателем Мерседес (230 л. с.) развивал скорость до 170 км/ч. This triplane version of the C VIII showed no improvement in climb, and speed was reduced to 165 km.hr. (103.12 m.p.h.). It appeared in December 1917 and did not develop beyond an experiment. Engine, 160 h.p. Mercedes D III. Span, Upper 11.2 m. (36 ft. 9 in. ); Middle 10.8 m. (35 ft. 5 1/4 in. ); Lower, 10.4 m. (35 ft. 1 1/4 in.). Otherwise as C VIII. Introduced in October 1917, this triplane version of the D I offered no increase in climb performance, and the speed showed a reduction. It was developed no further. Engine, 160 h.p. Mercedes D III. Span, 9.4 m. (30 ft. 10 1/8 in.). Length, 61 m. (20 ft. 0 3/4 in.). Weights: Empty, 710 kg. (1,562 lb.). Loaded, 970 kg. (2,134 lb.). Speed, 170 km.hr. (106.25 m.p.h.). Essentially a Dreidecker, or triplane, derivative of the D I, the Dr I was inspired by a circular of 27 July 1917 inviting inspection of a Sopwith Triplane that had been captured intact and proposals for fighters possessing at least comparable characteristics. 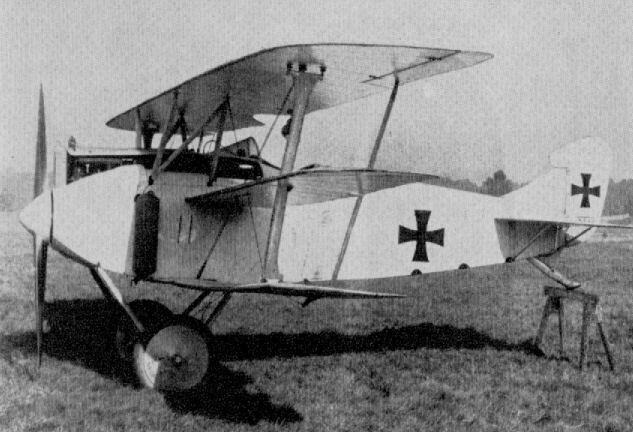 A.E.G.’s contribution to the programme appeared in October 1917, this mating a triple-wing cellule with the fuselage, tail surfaces, 160 hp Daimler D IIIa engine and twin-gun armament of the D I. The Dr I revealed poor performance and unpleasant handling characteristics, development being quickly abandoned. Max speed, 106 mph (170 km/h). Empty weight, 1,565 lb (710 kg). Loaded weight, 2,138 lb (970 kg). Span, 30 ft 10 in (9,40m). Length 20 ft 0 1/8 in (6,10 m). The sole prototype of the A.E.G. Dr I.